Enjoy Live Music in our Bar & Lounge every Thursday through Saturday Evening! Tour our Newly Renovated Riverside Pavilion Today! 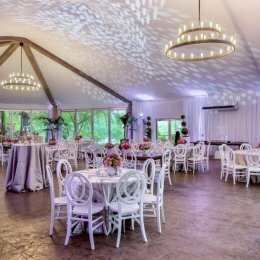 Accommodations for up to 180 guests, panoramic views of the Chattahoochee, custom lighting, elegant landscaping, and more! Perfect for weddings, birthdays, anniversaries and corporate events. A Beloved Atlanta Fine Dining Experience!  Ray's on the River has been a beloved Atlanta fine dining tradition since 1984. 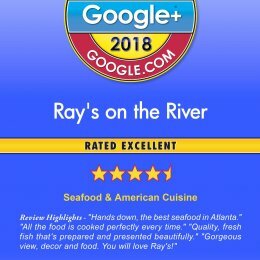 Situated along the Chattahoochee River, take in serene views and enjoy a menu filled with classic Ray’s dishes, including fresh seafood flown-in-daily, prime cut steaks, regionally-grown vegetables, hand-crafted cocktails and an award-winning wine list. Our team includes award-winning chefs, a highly-trained service staff and a dedicated events manager that will work with you every step of the way as you plan your event.